While Porto is not renowned for maintaining the most effervescent nightlife in Portugal, it does manage to cater for the nocturnal leisure needs of its locals and visitors alike. Regardless of preferences, one can always enjoy the theater representations and the live music scene of the city, as well as they can dance and drink the night out in any of the bars and clubs scattered throughout Porto. The gay community is fairly solid too, which is why gay clubs and bars can also be spotted in Porto without the need to dig in depth into the specific opportunities the city makes available. Casa da Musica is one of the most iconic landmarks of Porto, both architecturally speaking and from the point of view of its cultural merits. Thus, built no sooner than the early 21st century and inaugurated in 2005, Casa da Musica was praised for its architectural virtues, an unusual daring structure designed by Rem Koolhaas, a famed Dutch architect. The building is often compared, in terms of acoustics, to international venues like the Berliner Philharmonie and the Walt Disney Concert Hall in Los Angeles. 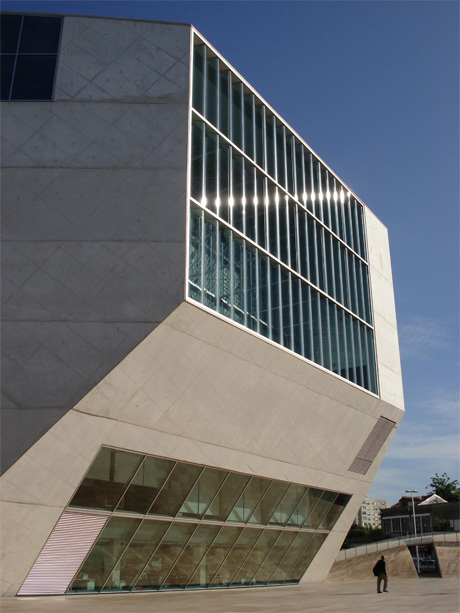 Casa da Musica is where the activities of the International Orchestra of Porto, of the Baroque Orchestra and of the Remix Ensemble are hosted. It consists of a Grand Auditorium with a capacity of 1,250 seats and of a Small Auditorium, which accommodates no less than 315 seats. A Cybernetic Arena is also located within the perimeters of Casa da Musica. Tourists need to look no further than the program of this reputed venue in order to discover the best of the cultural scene of Porto during their stay in the north metropolis of Portugal. The Sao Joao National Theater is the main theater in Porto (and one of the most important nationwide alike). The winding historical trajectory of the theater goes back to the late 18th century. Thus, the original building was erected between 1796 and 1798 by the designs of Vicente Mazzoneschi. However, the present structure was built in the early 20th century, being inaugurated in 1920. Unfortunately for its great cultural past, it was turned into a cinema hall in 1932, but restored as a theater hall 60 years later, in 1992. At present it is listed as national monument, and, as said, it is home to the most reputed theater representations in Porto. The Porto Coliseum building is generally deemed one of the most imposing modern buildings in Porto, iconic for the Art Deco style so largely cultivated in Porto during the 20th century. Officially inaugurated in 1941, the Porto Coliseum underwent major reconstruction works between 1997 and 1998, after which it was reopened its gates to the public avid for cultural events. The coliseum’s auditorium capacity amounts to about 3000 seats, which means the venue can be home to a wide range of large-scale cultural events (theater representations, music and dance shows, opera shows). For smaller activities, the coliseum makes available a certain Atico Room, able to welcome 300 people. Before the opening of the Sao Joao National Theater, the Sa de Bandeira Theater used to be the most reputed theater hall in Porto. Its reputation has diminished in time, yet it still manages to maintain much of its past glory. Thus, at present, it provides the second most important scene for the theater of Porto, being a genuine point of reference of the cultural life of the city. For a combined experience which mixes the temptations of a classy restaurant, of a bar and of an esplanade, Triplex is one of the best alternatives to be spotted in Porto. The venue is home to frequent theme parties, and visitors can enjoy listening to a large range of music genres at the bar. The picturesquely called O meu mercedes e maior que o teu (which, in translation, would mean My Mercedes is bigger than yours) is one of the best venues in Porto for live music aficionados. In time, the bar has welcomed the performances of the likes of Placebo and Massive Attack, as well as of sundry other reputed international bands and artists, chiefly performing in the rock music genre. For cocktails and prolonged drinks, visitors should head for the upper floor of the venue, whereas the ground floor is laid out for hosting the constant concerts on which the bar has built its reputation. Industria is the best place to be for people keen on dancing the night out on the throbbing vibe of house, electro and reggae music. People come here in hundreds. Of course the dance music is the chief commercial trump of the venue (in particular when reputed international DJs give live performances), but there is a large sector of the public willing to enter the club due to the reputation it enjoys: it is the best club in Porto, the ideal destination for revelers who want to boast the next day of having spent the previous night in one of the most poplar clubs of Porto. Twin’s is allegedly one of the best club chains in Portugal. One of the clubs is located in Lisbon, whereas two other are located in Porto (Twin’s Foz and Twin’s Baixa). These two venues in Porto are, by far, the glitziest of all clubs in the city. Everything, from furniture to decorations, has been conceived such as to generate an atmosphere as sophisticated as possibly conceivable: large cozy sofas, mirrored staircases, stylish armchairs and the like. Dancing is, of course, possible, on the floor especially conceived for this kind of pastime. It is, briefly put, a place for the bigwigs who don’t want to blend in with the common people and who, on top of that, want to state their preference for distinction.